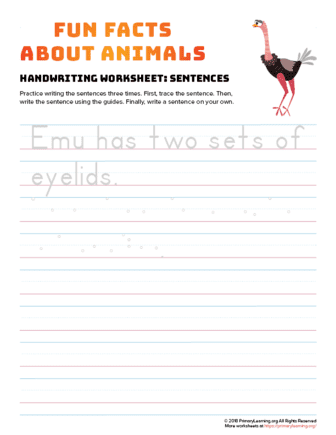 In this worksheet, kids practice their handwriting skills. They practice tracing the sentence, writing the sentence using the guides and then writing on their own. 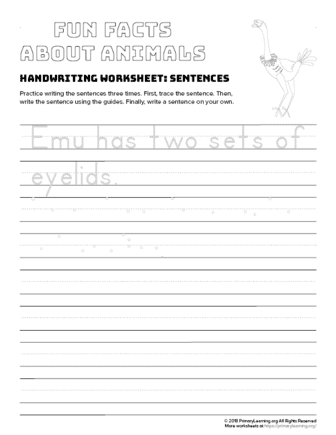 The worksheet focus on fun facts about emu. The teacher can discuss the topic with students.